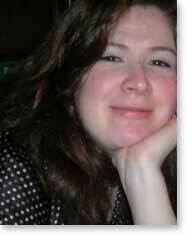 Majella Cullinane was born and raised in Ireland. She became a New Zealand resident in 2008, and lives in Wellington. She has previously received a Sean Dunne Young Writer's Award for Poetry, the Hennessy XO/Sunday Tribune Literary Award for Emerging Poetry and also an Irish Arts Council Award to study for an MLitt in Creative Writing at St. Andrew's University Scotland. She was short-listed for the Fish Short Story Prize in 2008 and has worked as a Writer in Residence in Ireland and Scotland. Poems and short stories have been published in Ireland, the U.K and New Zealand. Her first collection of poetry will be published in 2011.